Your complete guide to summer Fun in Niagara and Southern Ontario. We put on some of the biggest inflatable events all summer long and this is where you can find them. We will be updating this list with added events, and keeping you posted on changes. Make sure to come back often, or follow us on our social channels for updates as well. We’ve broken it down by Month for you. Subscribe to our newsletter and get free FunZone tickets. 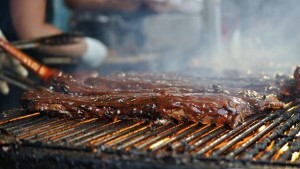 St. Catharines Ribfest Concert Schedule.